Protestors gathered outside an Idaho school visited by Apple CEO Tim Cook. Apple CEO Tim Cook and presidential adviser Ivanka Trump were greeted by happy students with iPads as the two visited Wilder Elementary School in Idaho today. But not everyone is happy with the iPads that Apple gave to school as part of a grant two years ago. 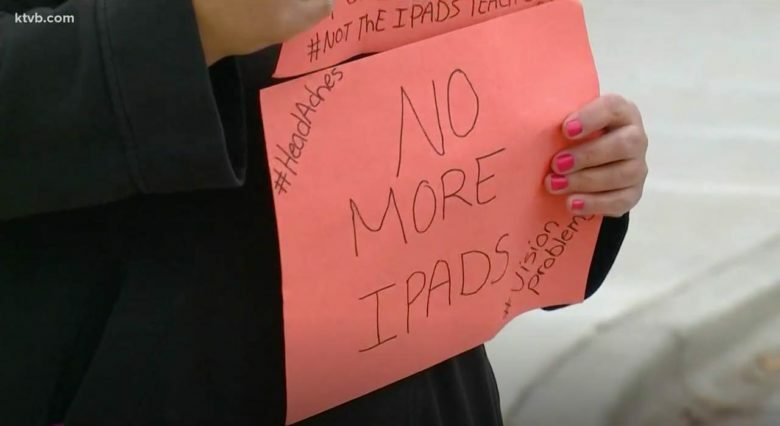 A small group of protesters criticized the iPad program, saying the tablets actually get in the way of teachers teaching. Not everyone likes the way iPads are used at Wilder Elementary School. But Wilder, part of a low-income school district and one of 114 schools to receive the iPads through Apple’s involvement in the ConnectED program, has since received national recognition for its use of technology, KTVB reported. Cook and Trump met with fifth- and sixth-graders to play a Battleship coding game the children created, according to KTVB. 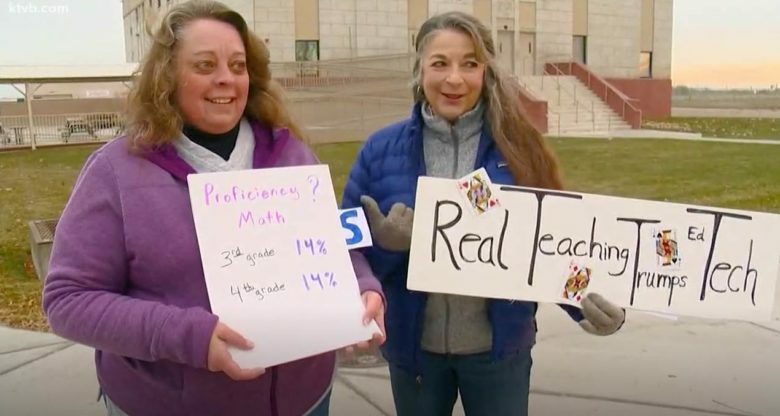 Teacher Stephanie Bauer told KTVB earlier this year that she thinks the use of Apple hardware helped raise some of her students’ reading scores. Bauer said technology for her and her colleagues breaks down barriers of traditional grade-level school. “For instance … I have a second-grade reader all the way up to seventh- or eighth-grade reading levels,” she said. The visit with Cook and Trump lasted about an hour. The president’s daughter has been touring schools to study how they use technology for workforce development. The Apple CEO asked students about their projects. One said he was making a movie. “Who is the star of your movie?” Cook asked, according to an account in the Idaho Statesman.